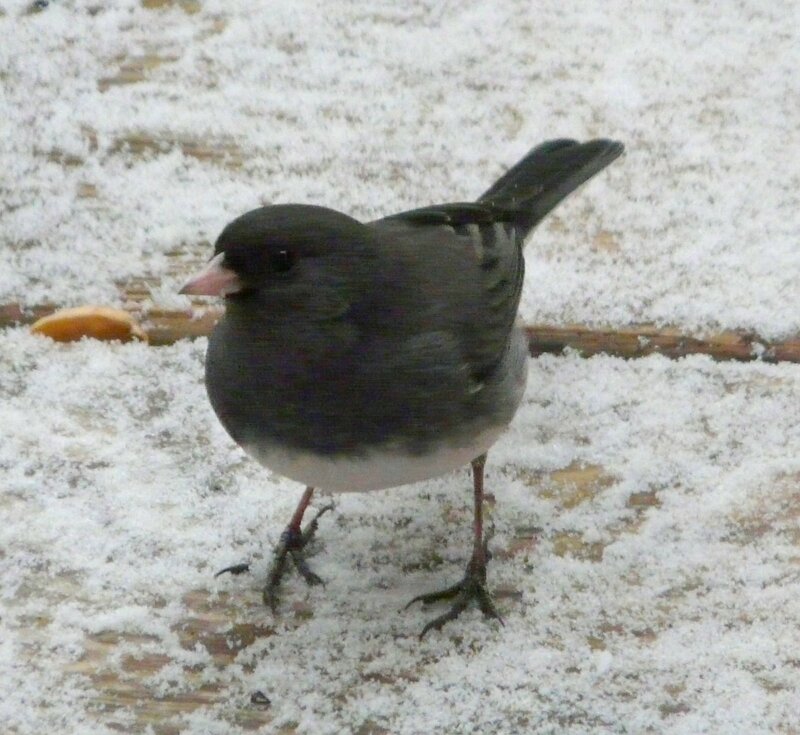 The dark-eyed junco is a common winter visitor. This black and white bird mostly feeds on the ground. 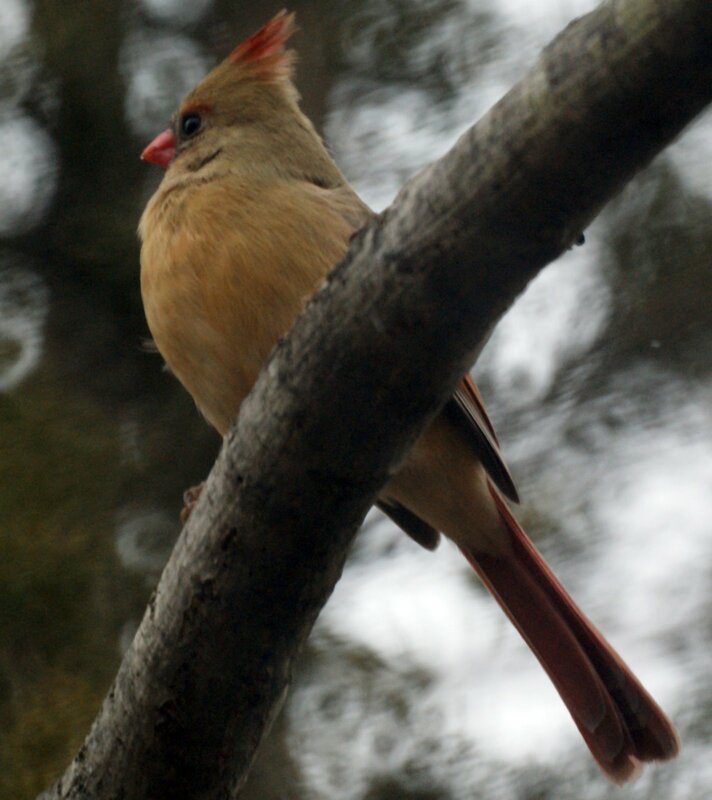 The cardinals stay year round but they come to our feeders much more often in the winter when food is scarce elsewhere. 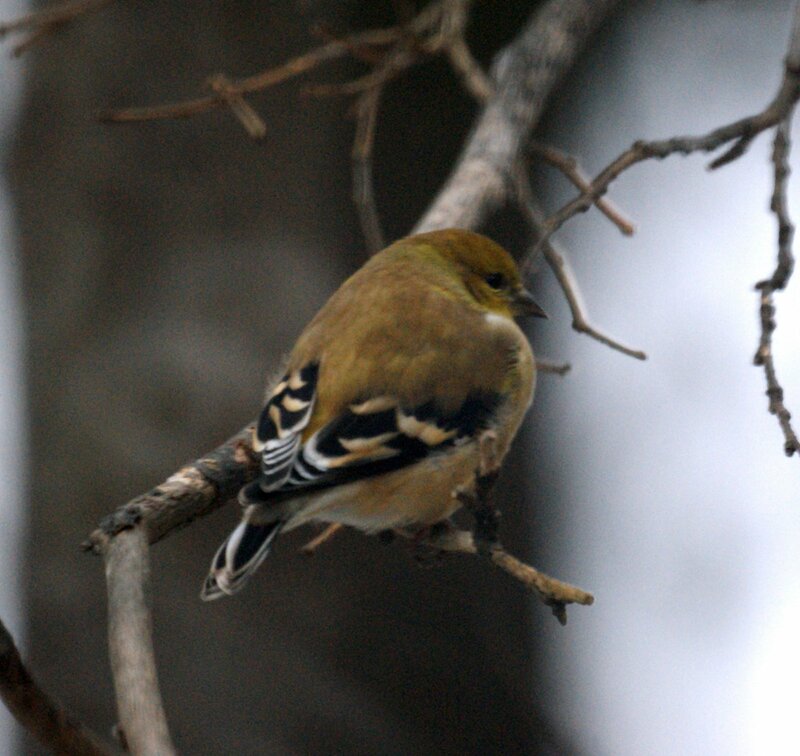 The American Goldfinch, the state bird of New Jersey, also stays year round, but its yellow color is more vivid in the summer. Thank you, thank you! I've been trying to identify this bird I've seen a few times in my backyard now, and now I know it is the Dark-eyed Junco. We have many of the same birds as you, here in Toronto.